# john french, 22, is 'drumbo'. he came from mojave and had been with beefheart longest - nearly six years. he plays the drums while wearing a chimney sweep's cap and a mechanic's duster, and sunglasses that look like space goggles. # bill harkleroad, 21, is 'zoot horn rollo', the guitarist. an 'acid casualty' who weighed 110 pounds (50 kilo) when he joined the band, harkleroad is a veteran of some 200 lsd experiences. now he sticks to vitamins. # mark boston, 22, is 'rockette morton'. like beefheart, french and harkleroad, he hails from the desert. when he joined the band as its bass player, beefheart says, boston was timid and withdrawn while playing. now, as 'rockette morton', he moves all over the stage with a catlike, comic grace. # the one 'trained' musician in beefheart's band is arthur tripp, or 'ed marimba'. he studied eight years at the manhattan school of music and was a percussionist with the cincinnati symphony. after traveling on a lecture concert tour with avant-garde composer john cage, he joined frank zappa and the mothers of invention. from there he came to beefheart to play marimba and drums. when beefheart and the magic band began playing, the contrast to cooder's music was marked. this group gave the impression of being absolutely together - natural and powerful, like stormy weather. bus, plane, bus - and the performers were in new orleans. beefheart said the world had turned menthol, the grass extra-green through tinted windows. beefheart's wife, jan, had been nursing a cold for several days and, that night, it worsened. the weather had turned bad, too - cold and rainy. a pretty, quiet girl of nineteen, jan had taken her usual place on stage, just behind the amplifier where beefheart rested his soprano saxophone and his bottle of chartreuse. the auditorium had once been a warehouse (thus it was named 'the warehouse' - t.t.). wind and sometimes rain blew in from an open window above the stage as jan, by turns, shivered and coughed. the band was into 'alice in blunderland', and beefheart, adjusting the reed on his saxophone, watched as she leaned forward in her chair and put her hands over her ears. next stop: atlanta. it was a city big enough to support lots of music business fringe figures. sunset strip east, with a twist of southern accent. the place made cooder think of 'the shoemaker man'. he had seen him once in a shoe shop window - an animated robot that went through the motions of taking a nail from its mouth and hammering it into a shoe. occasionally cooder felt like the robot, mechanically answering the same questions in the same way. he would grin slyly at his wife susan and mimic the shoemaker's jerky movements, and susan would grin and make them back. after atlanta: carbondale, illinois. there cooder played one of his best sets, blessed at last with a perfect sound system and concert hall acoustics. the audience was rapt. beefheart was another matter. toward the beginning of the set, people at the back of the audience began to leave. three numbers later some were literally running for the exits. it was much the same in minneapolis. the site was the tyrone guthrie theater, a nearly perfect place to play. cooder gave an encore, but by the time beefheart had finished, there were not enough people left to sustain more than twenty seconds of applause. this negative reaction seemed characteristic of more well-heeled audiences. consumer consciousness seemed to take over: the most common complaint was: 'he's putting us on'. that didn't make beefheart happy, exactly, but it didn't affect his or the band's performance. beefheart often said he could tell how well the band was playing by the number of people who walked out of the show. 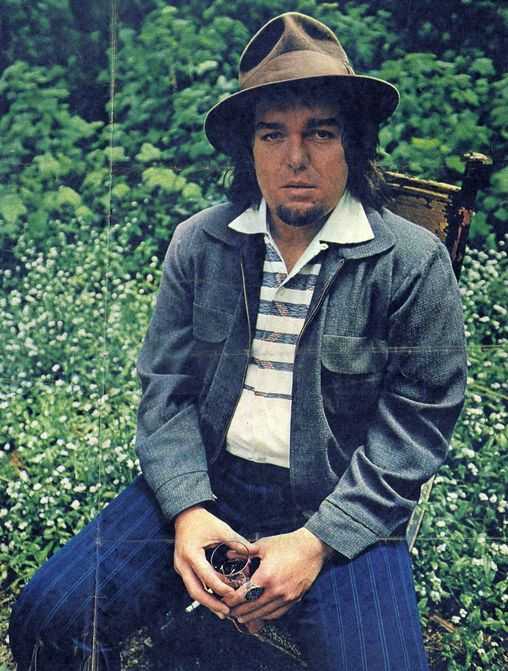 a newspaper critic unloaded on beefheart the next day: 'there was no evidence whatsoever that beefheart's egotistic, deranged formula could produce appealing musical identity or intelligent musical style'. the critic, on the other hand, praised cooder as a 'musician of taste, lyrical sensitivity and charm'. next came a five-hour bus ride to des moines. there would be a night off, then the performance, then back to los angeles for a few days before picking up the last four dates of the tour. the bus ride was relaxed, full of checker games and jokes. beefheart played the harmonica and sang - and sounded warnings to cooder. 'you ought to forget all those old blues guys', he said, 'and just be ry cooder. they would eat you up. the thing for you to do is go back to los angeles and get rid of those record company people and go off by yourself until you figure out what you want to do.' at a roadside cafe, the conversation continued. 'beefheart's got me all washed up at twenty-three', cooder said, his anger sounding through a weak laugh. 'those guys can smell blood', beefheart went on. 'when you're at your lowest, they come up. they can see the wound. they'll live out their youth with you. put you in a little suit and make their lives over with you.' 'don, i know what you're talking about, but it just doesn't apply. it's not a problem for me. everyone has to work in their own way.' a few minutes later, cooder left the table and went back to the bus alone. days later, the tour finished in albuquerque. the audience was full of radicals nurtured in the heavily political atmosphere of the university of new mexico. they liked cooder and demanded an encore, which he refused to play. but they didn't seem to like beefheart at all. 'they didn't know what was going on', someone said later. 'they wanted music for their revolution.' beefheart left them dumbfounded. back in los angeles, there was the recurring theme of jan's coat - also, now, his own. 'i'm sick of this, man, not having any money', beefheart said, and complained that once again in his long and sorry financial history, he was being had by the music business money men. many thanks to bob jennings for providing this one ! of course the great pictures in this feature weren't the only ones taken at the session for 'west magazine', which actually was the sunday supplement of the los angeles times newspaper. one of those shots illustrated the front page of the appropriate quire. a glossy reproduction of it emerged in 1997 in jim marshall's photo book 'not fade away', and came to our attention when it was used along an english article about the publication. an unpublished photo once was part of a commercial website promoting the book. both can be found in my introductional story called the captain as teaser. a fantastic third black and white picture i know about - with the band posing on and around beefheart's car again (a '49 hudson, by the way) - happens to be someone's private property.